Of course not! The same principles hold true when you are shopping for tires, however the “bruises” on tires may not be as obvious. Seemingly new tires may be rotting in places you can’t even see. That is because “new” tires may not be new at all. 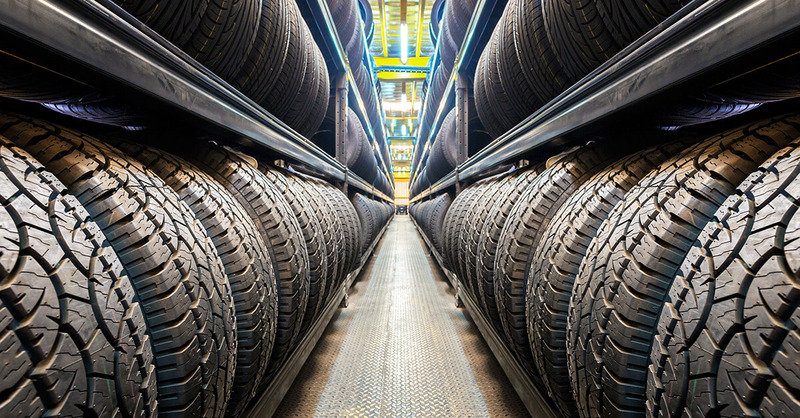 All tires have a shelf life, and it is probably much less than you would expect. Many drivers think that tread depth and the number of miles driven on the tires are the only factors to consider when deciding if they need new tires on their vehicle. What you might not know, is that simply the age of the tire (from the tires’ date of manufacture) may indicate time for replacement. Every tire has a serial number or sets of digits and letters that are important to understand. Tires manufactured in 2000 or later will have a code such as DOT K6RY TBFM 4408. The last four digits are the most important. “4408” indicates that the tire was manufactured in the 44th week of 2008. For tires manufactured before 2000, you’ll see a series such as DOT TBIC MJT 369. Again it is the last set of three digits that are most important. “369” indicates that the tire was manufactured in the 36thweek of 1999. Armed with this information, it is time to check the tires on all your cars. If your tires are six years old or older (even if they have low miles on them), it is time to replace them right away. When shopping for new tires you’ll want to check the tire serial number before purchasing. It is very possible that tires have sat in a warehouse or on shop shelves for years before being purchased, and you want the newest tire you can find for the best longevity. Whether or not the tires have ever been used, after a certain amount of time, the components within the tire can deteriorate significantly without any outward, visible signs. Other factors to consider when determining if your car needs new tires include tread depth, uneven wear, cracking, and/or dry-rotting. Tread depth is extremely important to monitor. Tires are legally worn out once they reach 2/32 of an inch as an absolute minimum, however replacement is often recommended before this point for safety reasons. As a tire wears, its ability to perform in inclement weather conditions is substantially reduced. If you drive in heavy rain conditions (such as the frequent heavy daily rain showers common in Florida), it is recommended that you replace your tires once the remaining tread depth reaches just 4/32 of an inch. Sufficient tread depth is necessary to allow water to escape through the tires’ groves. If water can’t escape fast enough, tires will lose traction and hydroplane — a dangerous situation that results in numerous car accidents each year. If you have any concerns about the current condition of your vehicle tires, call David Wherry at Star Value Automotive today at (941) 201-5207. As a Master Certified technician, he can inspect your tires and make recommendations for your specific vehicle and driving habits. Through his network of suppliers, David can offer you all brands and sizes for much less than you will pay at the dealership.